pants all day even when she's out of bed! these pants take comfort and aesthetics to the highest level. - Designed using flame resistant material for extra safety. - Kiddie prints and colors turn these pants into adorable nighties. - Elastic waist design gives these PJs a custom-fit. - Will not shrink or get a distorted shape even when machine-washed. - Available in different sizes and with a consistently great quality. 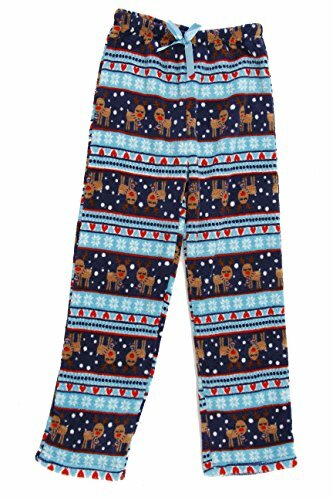 Make your little girl's snooze time always cozy and fun with these beautiful PJ pants from Just Love. Click 'Add to Cart' now! KIDDIE PRINTS: With cute, multiple prints and kid-friendly colors, don't be surprised if your little one suddenly makes these plush pajama pants her favorite. There is also a pretty satin bow that accentuates the girly look of the cozy pants and makes snoozing or lounging a cute affair.